Sheep Island View Ballintoy i Ballycastle, Nord-Irland: Bestill nå! Catering provided for groups if required. Exclusive and private use of buildings for groups of 35+ Private grounds for activities/parking etc. Outdoor activities can be arranged. Sheep Island View is situated on the North Antirm Coast, in the small village of Ballintoy. We are 6 miles from the Giant's Causeway and about a ten minute walk from the famous Carrick-a-Rede Rope Bridge. Ballintoy has many walks surrounding the area, and also has two pub/restaurants which provide traditional Irish music several times a week. 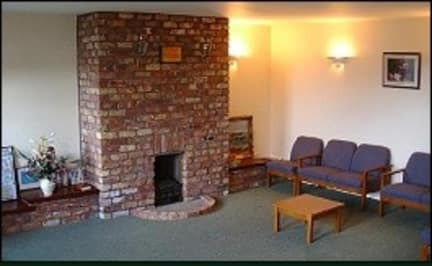 Our accommodation is ensuite and there is a large self-catering kitchen and TV/communal room with an open fire. Sheep Island View also has a conference centre which can seat 150 people. 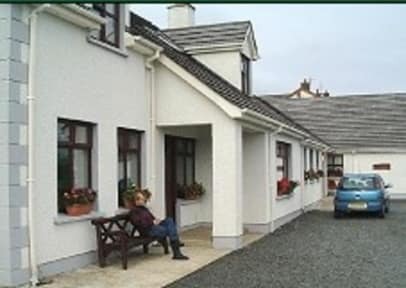 With rooms of various sizes, our accommodation is suitable for groups, families and the regular backpacker! We also provide you with a light breakfast; cereal, bread, milk tea/coffee sugar.